For special occasions, it’s hard to top a lamb chop. Meaty little lamb loin chops are the perfect special-occasion barbecued treat. 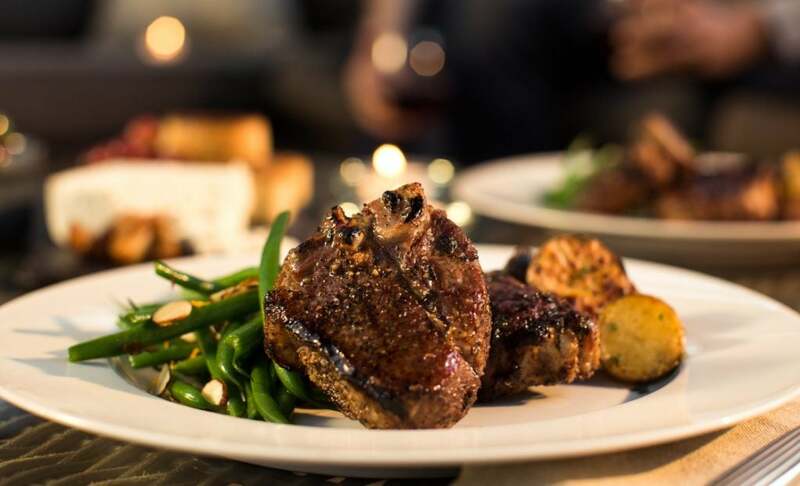 For a romantic dinner or a celebration, thick lamb loin chops are just the ticket. 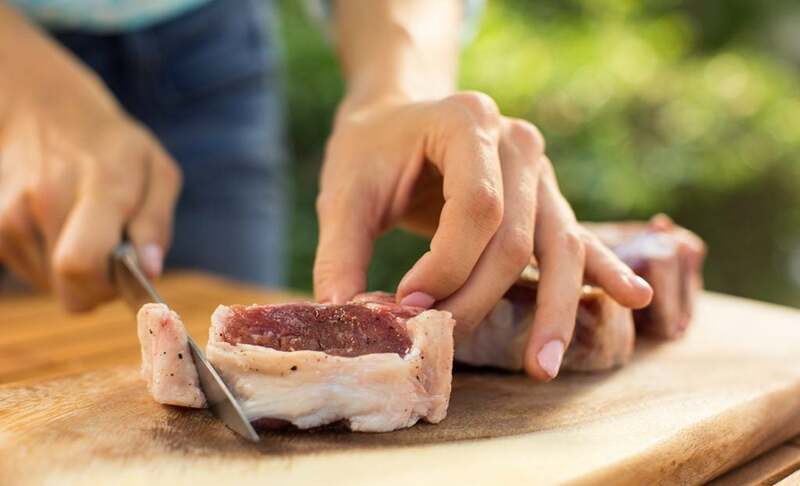 Look in the grocery store or butcher shop for lamb loin chops—they look just like little T-bone steaks and are ideal for barbecuing. Follow these seven steps for a special barbecued meal. Often loin chops come with a thick layer of fat around the outside. These small chops cook so quickly that the fat around the outside will never render, so it’s best to trim it off. Trim the fat down to a thin layer no more than 1/8 to 1/4 of an inch. The meat will remain tender even after trimming. Season the chops to your liking with marinades or spices (salt, pepper, and fresh herbs like mint work well). Subtle flavors are best with delicately flavored meat like lamb. Drizzle the chops with olive oil, then sprinkle with seasoning and you’re ready to barbecue. For lamb chops, set up a two-zone, medium-hot fire. Fire up a full chimney of Kingsford® Charcoal, or light a pile of about 100 briquets. 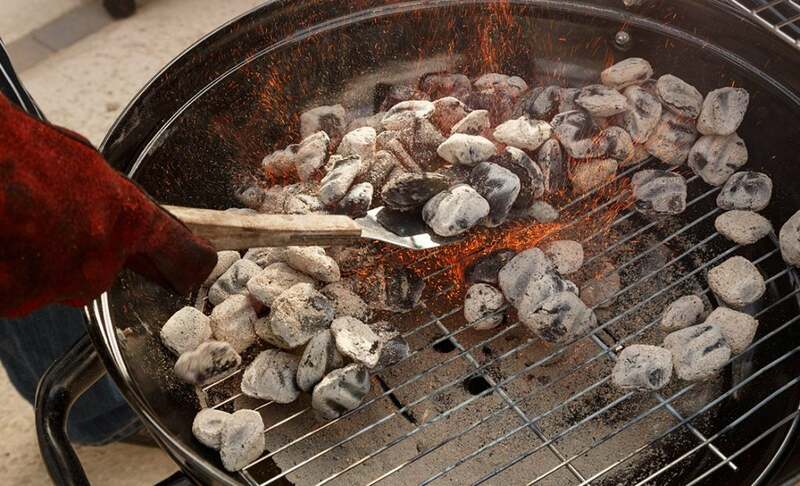 When the coals are ready, replace the top grate, allow it to heat up—all vents should be fully open—then pour cooking oil on a folded paper towel and oil the grate using long-handled tongs. Sear and flip the chops. Place the lamb chops directly over the coals on the hot side of the BBQ for searing. Watch for flare-ups from the olive oil or rendering fat. Once brown, flip and sear the other side. Move the chops to the cooler side of the BBQ and place the lid on to finish cooking to your desired internal temperature and doneness. For most chops this takes no more that seven minutes total. Using a digital instant-read meat thermometer, check the temperature of chops while on the BBQ. The chops are rare at 49°C, medium rare at 52°C, medium at 54°C, and well done at 63°C and higher. Lamb can take on a gamey flavor when cooked past medium. Just like with steak, it’s important to let lamb chops rest for about 10 minutes. Remove the chops from the BBQ, place on a platter and let them rest, loosely tented under foil. During this time, the juices redistribute throughout the meat. After resting, plate and serve your chops. Mint flavor complements lamb perfectly. Some people still love the flavor of traditional mint jelly to accompany the lamb after barbecuing. Others prefer to just apply some finely chopped fresh mint before barbecuing. Smoke flavor complements the slightly gamey flavor of the lamb. Often just the charcoal itself lends enough smoke flavor. But if you want to add additional smoke flavor in the form of wood chips, do so sparingly so as not to overpower the flavor of the lamb.